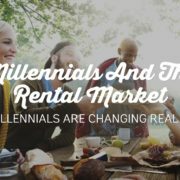 According to Forbes(LINK), the rental home market is changing because of millennials. Individuals born between the early 1980s and the late 1990s are now in the midst of their careers and have money for a downpayment, yet they are choosing to rent instead of buy. This is good news for property owners and property management. Arlington landlords can use this new renting mindset to their advantage. As Forbes(LINK) points out, Millennials are choosing to rent even when they may be in a position to buy. This lines up with the value system observed in this generation. They tend to place more importance on experiences and freedom rather than material things and stability. When you own a home, it is more difficult to move across the country for your dream job. Saving for a new roof means less money for traveling. A good Arlington rental property management team can help you market your home for this new kind of renter. What does this mean for property management? Arlington landlords looking to appeal to the millennial generation need to know a few things. First, many millennials work for tech companies and technology is a huge part of their lives. Specialized Property Management makes your tenants lives easier with our online portal system. Tenants can log in to their portal and pay rent or submit a maintenance request. Second, marketing will look different. With many tenants moving from across the country, they may never drive by to see a For Rent sign in your front yard. Online marketing with walkthrough videos is important to reduce vacancy days and give potential tenants confidence in renting a home sight unseen. Fortunately, with an Arlington rental property management team like Specialized you get all these services and more. Want to learn more about all the services we offer? Give Specialized a call today! 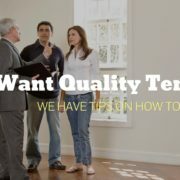 Nine times out of ten your tenants will be low hassle, decent people. But the longer you own rental property the more likely it is that you will run into problem tenants. Even with rigorous tenant screening, such as the screening Specialized Property Management performs regularly, bad apples can slip through. Can you handle a tenant who is always complaining about your home and unnecessarily taking up your time? What do you do with a tenant who is always late, or doesn’t pay rent? What about a tenant who breaks the law and uses your home to do it? Are you prepared for a tenant who destroys your property? These are very real scenarios we deal with every day in property management. Arlington landlords turn to Specialized because we are the experts with almost 30 years of experience dealing with problem tenants. Sometimes tenants make mistakes, sometimes they are forgetful. When this happens with a rent payment, or a broken item in your home, communication is key. A gentle reminder that rent is due on a certain day every month, or asking them to replace the broken light fixture will often be enough. However, if a tenant is chronically late with payments or breaks items out of neglect or spite you must address the problem quickly and clearly. Always bring a copy of the lease agreement when talking with your tenants, which should have information such as how late payments and fees will be processed. Refrain from being harsh or blaming, which can heighten emotions and make the situation worse. Having an experienced professional Arlington rental property management team on your side will be extremely helpful in these situations. Specialized conducts regular property inspections, giving insight into how tenants are caring for the home, if their complaints are warranted, and if any illegal activities are going on. Full reports are available through our online owner portal 24/7 so you are never in the dark about what is going on with your property. Call Specialized if you are ready to leave behind the hassles and headaches of rental property management. Arlington landlords rest easy knowing their homes are in good hands with the experienced professionals at Specialized! Rent Collection: How Can Arlington Rental Property Management Help? On the surface rent collection sounds easy. Your tenant mails or turns in a check to you once a month, you deposit the check, the check clears, and you’re good until the next month. Except, as almost every landlord learns eventually, it isn’t quite that easy. Checks bounce, tenants are late or don’t pay, and eventually you find yourself with legal problems and an eviction. This process can feel like you are underwater if you are unfamiliar with it. That is where Specialized’s property management Arlington experts can help. 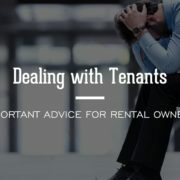 One of the most important things you can do to protect yourself and your tenants is have clear and upfront communication about your rent collection processes. Set expectations with your tenants when they sign the lease about what the rent collection process will be and what will happen if they fail to pay. Making it easy for your tenants by offering incentives and electronic payment options will help ensure rent is paid on time. If an eviction becomes necessary be sure you are up to date on the process and move as quickly as possible. Many facets of evictions are time sensitive and expensive, so you should consider partnering with an experienced Arlington rental property management company to keep things moving. 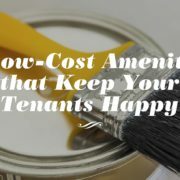 A successful investment property depends on successful rent collection. Inexperienced investors can run into trouble quickly without proper rent collection processes. Consider hiring property managers to keep the process under control and keep communication open between you and your tenants. With almost 30 years in the business Specialized is the property management Arlington landlords turn to for help with their rental properties. To hear about all our services call Specialized today. https://spmfw.wpengine.com/wp-content/uploads/2017/12/SPM_REV-orange_Logo-300x135.png 0 0 Kim Staker https://spmfw.wpengine.com/wp-content/uploads/2017/12/SPM_REV-orange_Logo-300x135.png Kim Staker2017-09-20 18:42:362018-02-04 09:40:23Rent Collection: How Can Arlington Rental Property Management Help?